Evolution or Revolution In Solar Cell Technology? How can we get to $1 per watt installed for solar energy? Since you are reading this, I am going to guess that you are pro-photovoltaic. Like me, you are probably hoping for -- perhaps even working towards -- making photovoltaics a ubiquitous, low-cost source of clean, reliable, renewable energy. But how do we get there from here? Can today's technologies get the job done or do we still need a "revolutionary" technological breakthrough? PV industry participants generally believe that the basic elements of a self-sustaining, large-scale, low-cost PV industry are already in or near mass production today. The only uncertainty is our velocity down the cost curve, which in turn is seen largely to be a function of the size, nature and predictability of government incentive programs that have already proven to be quite effective in incubating the PV industry to its current scale. People in this camp often cite the mind-boggling cost reduction achieved in semiconductor manufacturing, and the not-so-mind-boggling-but-still-incredibly-impressive cost reduction in LCD manufacturing. Cost reduction and performance improvements nearly inconceivable just 10-15 years ago have been achieved in both industries step by step. No real revolutions. Just evolutionary innovation enabled by large-scale production, extensive R&D, and a lot of hard work year after year, standing on the shoulders of the poor son-of-a-gun that got burned out and quit last year. 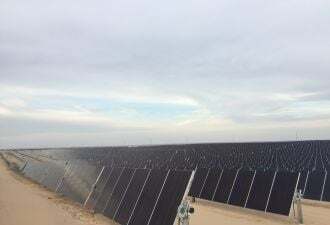 Dramatic cost reductions have already been achieved in PV, and the scale and diversity of efforts in the industry today promise to yield acceleration in cost reduction in the years to come. Not everyone shares this faith in our current technologies. A number of prominent academics and venture capitalists, perhaps even our current Secretary of Energy, have argued that existing flat-plate PV technologies are a dead end. 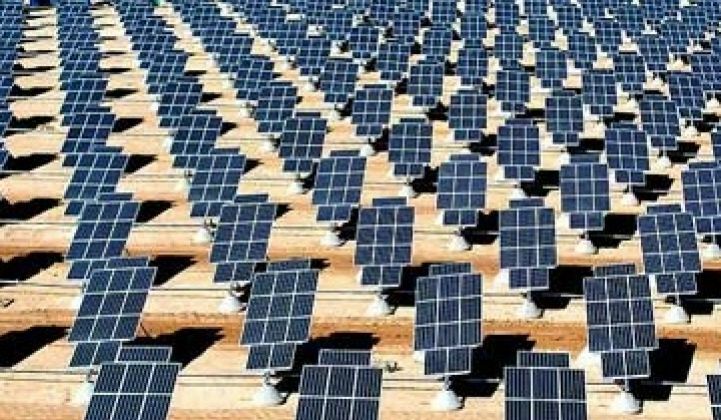 According to this group, PV is only relevant if it can meaningfully contribute to solving global warming, which in turn means solar energy must be able to supplant fossil fuels for large-scale power generation in both developed and developing economies, particularly India and China. Framed in this way, the litmus test for any solar energy technology is its ability in the next 10-20 years to be deployed in hundreds of gigawatts per year, delivering electricity at $.05-.07/kWh, even in areas that aren't very sunny. Given the load factors of PV installations, not to mention the possible need for storage, we need to consider a target installed system price of no more than $1/Wp. Panel prices have indeed come down significantly, but the PV "experience curve" (15% cost reduction for each doubling of production) is too slow, requiring us to get to 40-80GW per year production just to reach sub-$1/Wp panel pricing. And unless we see disruptive improvements in conversion efficiency, the "balance-of-system" costs (i.e., all the system costs other than the solar panel itself) will make it impossible to achieve a $1/Wp system price even if the panels are nearly free. The logical conclusion to this argument is that we must focus resources on R&D that can potentially deliver a "Nobel-worthy" advancement in the science of solar cells. Quite honestly, both points of view have merit. Abandoning efforts based on incremental innovation would be foolhardy given all that has been achieved already and the incredible opportunities that lay just ahead. But we cannot assume that current PV technologies will naturally, and without guidance, improve at a pace sufficient to be relevant in the battle against climate change. In fact, regardless of your "PV religion," let's all agree that more, and more effective, R&D should be among our top priorities. It may be axiomatic to point out that the future is impossible to predict. But recognition of this fact, coupled with sober acknowledgement of the magnitude of our global warming threat, should lead us to embrace and significantly bolster both evolutionary and revolutionary research efforts in photovoltaics. Craig Hunter is the Vice President and General Manager, Energy Technologies at Intermolecular.